Petitioner Brief: Home Depot U.S.A., Inc.
Can Home Depot get the class action moved to federal court? Home Depot is the defendant in a class action. The orange home improvement giant is trying to get the case moved from state court to federal court. Why? Because states are known to be friendlier to plaintiffs in class action suits. Here's the thing. It's not clear if Home Depot can "remove" the case to federal court. That's because of how the case started. For some background on “removal,” let's walk through some examples. In a basic case, there’s just a one-way litigation. A plaintiff sues a defendant, and that’s it. In this situation, the defendant can move the case to federal court (if the case meets certain criteria which are not relevant to this case). That's because the plaintiff shouldn't be the only party that gets any control over jurisdiction. However our case is not a basic case. When this case first started, Home Depot wasn't involved. It was Citibank that sued a party named Jackson. Let's take the case one step more complex: a counterclaim case, to clarify the rule on removal. Plaintiff sues Defendant and Defendant sues back. In this situation, it's true that the original plaintiff has now become a defendant. But the "counterclaim defendant" is not allowed to take advantage of federal court removal (Shamrock Oil v. Sheets (1941)). The counterclaim defendant already had the chance (as original plaintiff) to decide jurisdiction, and it can't now decide it wants the case in federal court. Again, this is not our case. But the Shamrock Oil rule is relevant. Jackson, the Respondent (and original defendant) in this case, is using the Shamrock Oil rule against Home Depot. Now, let's see how our case differs. 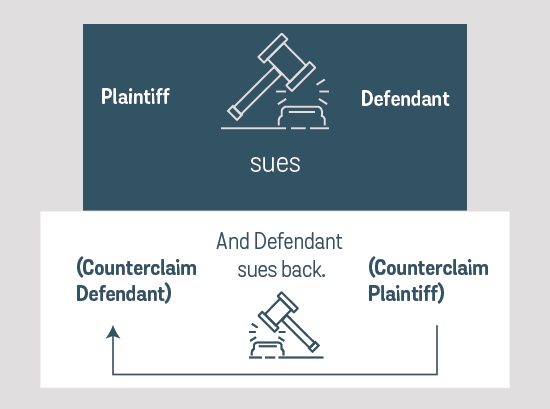 In this situation, the plaintiff sues the defendant, and then the defendant sues another party — a third party — as a response to getting sued. Here, when Citibank sued Jackson, Jackson in turn sued Home Depot. The Shamrock Oil rule says a counterclaim defendant (the original plaintiff) cannot remove a case to federal court. That’s different than a third party defendant, but lower courts have taken the Shamrock Oil and applied it to third party defendants as well. With that policy, Home Depot would be barred from removing the case to federal court. Here's why, Home Depot argues, applying Shamrock Oil to this case is not fair. First, this is a class action. Congress passed the Class Action Fairness Act in 2005 with the specific purpose of guaranteeing that class action defendants can move cases to federal court. Applying Shamrock Oil to this case goes against the statute’s goal. Second, Citibank has since dropped its original claim against Jackson. So all that's left is Jackson and Home Depot. Why, says Home Depot, am I different than a regular old defendant now anyway? I never made the choice to be in state court in the first place. The Supreme Court hears arguments on January 15, 2019.